← Find out more about education, training and your Union Learning Reps! 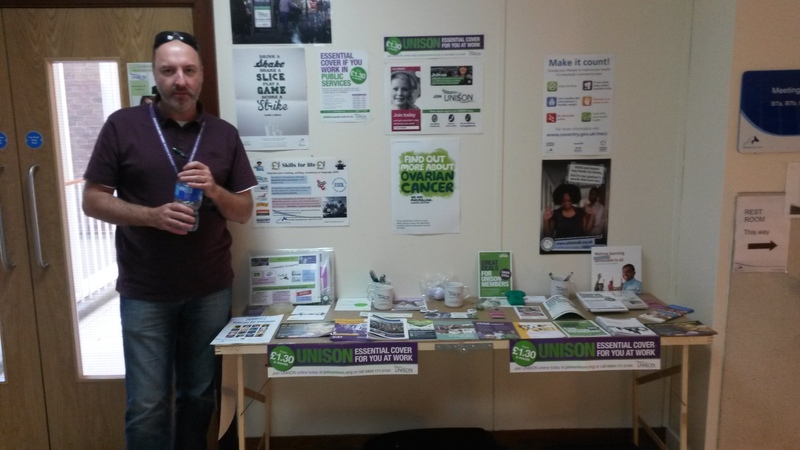 As part of the Unison campaign to raise the profile of education, learning and training across the Council our learning reps Mike Wallace and Paul Hunt set up a stall in the foyer of Civic Centre 1 last week. 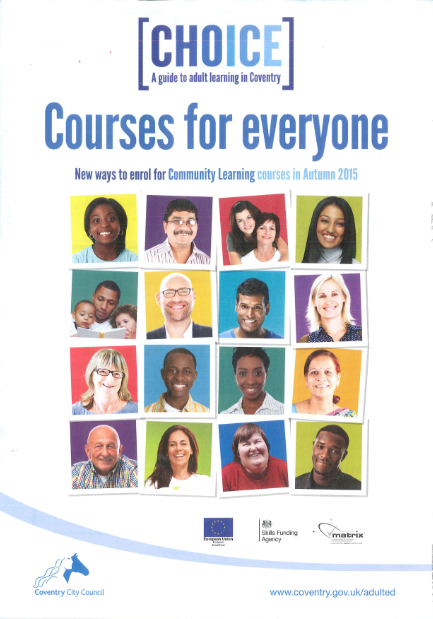 Information was available about a whole range of courses offered by both the Council and the union, including the latest issue ‘Choice – a guide to adult learning in Coventry’ which highlights hundreds of courses available to people in the Coventry area. 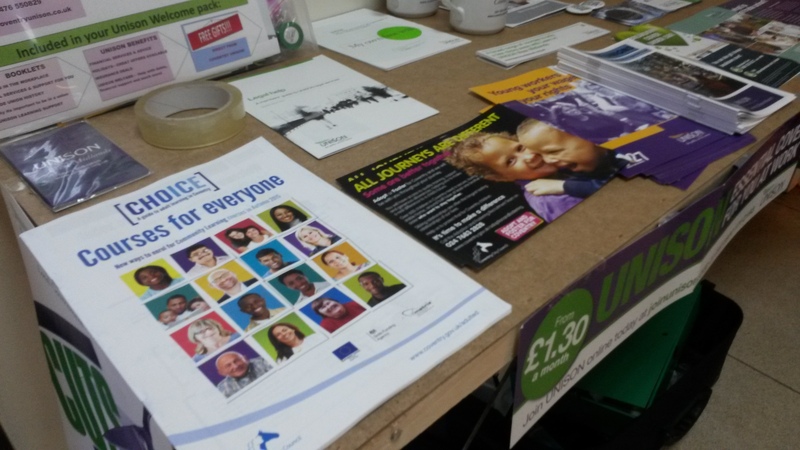 Leaflets were given out advertising the learning website of the West Midlands region of Unison, Women’s Lives, the Council’s Fostering and Adoption service as well as information regarding how to deal with issues such as stress in the workplace. A number of members of staff visited our stall having seen us on the Council’s intranet, Beacon. Unison Union Learning Reps will continue to be ‘out and about’ around different parts of the Council – look out for us on Beacon! If you would like us to come to your area or have any questions about education and training get in touch! This entry was posted in Education & Learning, Learning and tagged Beacon, Choice Magazine, Civic Centre 1, Coventry City Council, Coventry City Unison, COVENTRY UNISON, EDUCATION, Education and Learning, Fostering and Adoption, FutureLearn, Stress at work, Trade Unions, TRAINING, U Learn magazine Summer 2015, UNION LEARNING REP, Unison, Unison help with learning, Unison West Midlands, Womens LIves. Bookmark the permalink. Take the UNISON Skills Survey!